The official weigh-ins for “UFC Fight Night 90: Dos Anjos vs. Alvarez” take place today inside Mandalay Bay Events Center in Las Vegas, Nevada. Stream Friday’s weight contest live right here on 5thRound.com starting at 7PM ET/4PM PT. 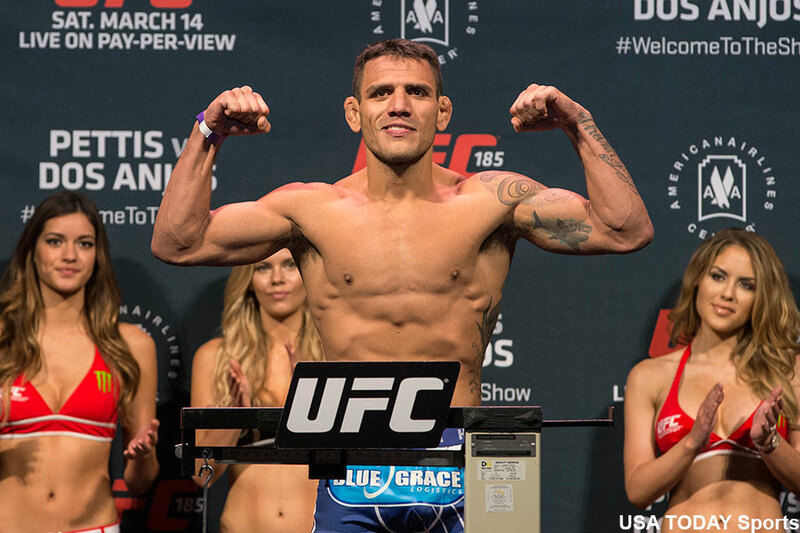 Lightweight champion Rafael Dos Anjos (pictured) defends his throne against former Bellator champ Eddie Alvarez in the show’s featured attraction. Heavyweights Roy Nelson and Derrick Lewis serve as the co-main event. UFC Fight Pass streams Thursday’s entire event live starting at 6:30PM ET/3:30PM PT. The main card begins at 10PM ET/7PM PT.